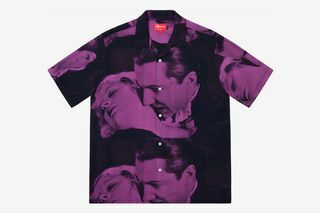 Key Pieces: The King of New York T-shirt pays homage to 1990’s neo-noir crime thriller in which Christopher Walken, a psychotic drug lord, is released from prison and tries to take back the streets in order to share his wealth with the community. 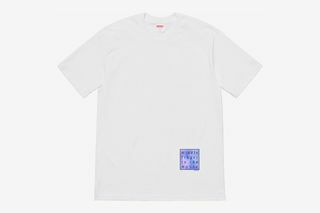 Release Date: The first drop will go down in-store on February 21st, with the first online release to follow on February 25. 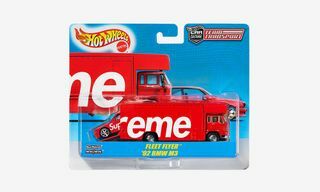 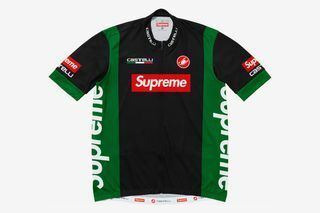 Editor’s Notes: Fresh off of teasing its SS19 collection, Supreme has just unveiled the lookbook and full product shots of the upcoming Supreme SS19 season. 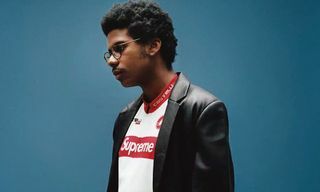 Head here to check out the full lookbook and read on to find out more about the Supreme SS19 tops and tees. 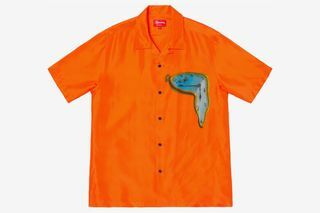 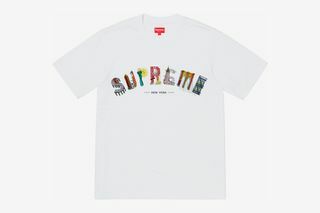 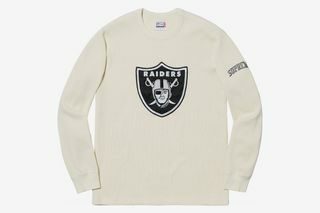 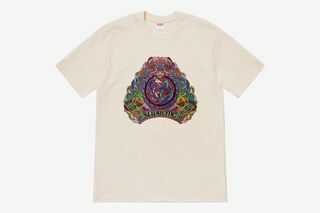 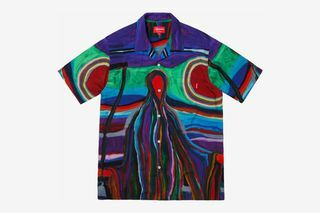 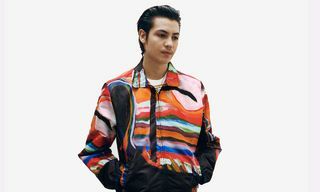 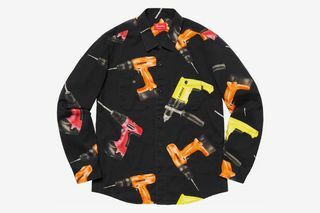 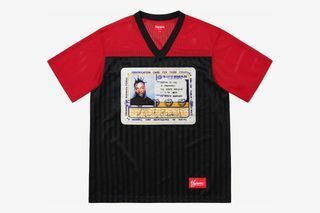 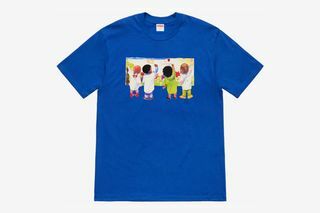 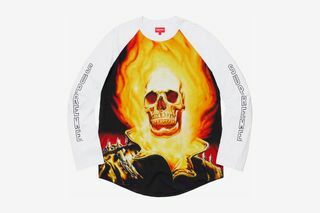 As per usual, T-shirts and other tops make up a large part of the Supreme SS19 collection. 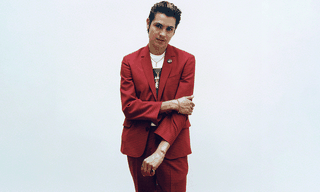 The upcoming season features a good balance of basics and more statement-ready pieces. 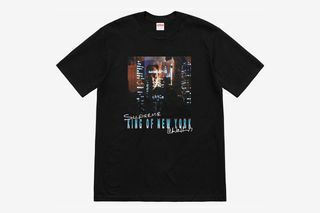 A notable collaboration of sorts is the King of New York T-shirt, which pays homage to the 1990 Christopher Walken film. 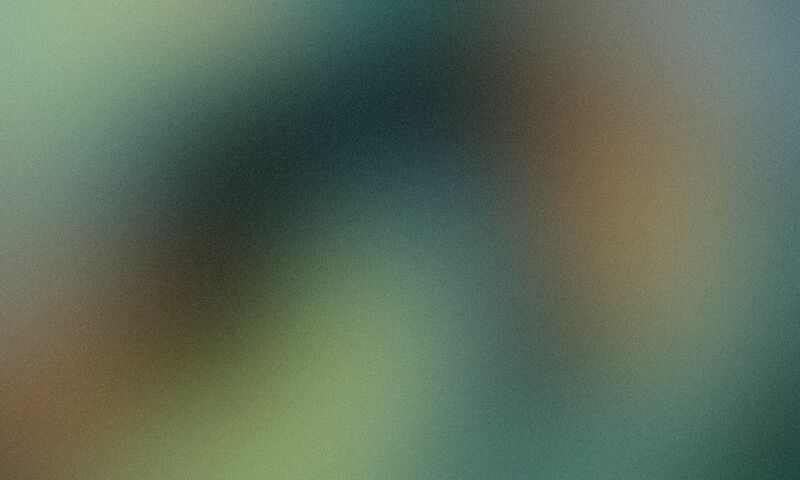 Directed by Abel Ferrara, the movie starred Laurence Fishburne, David Caruso, and Wesley Snipes alongside Walken. 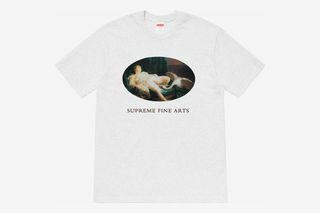 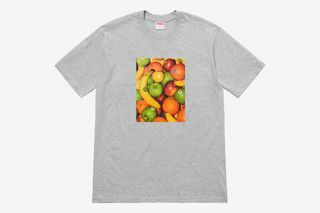 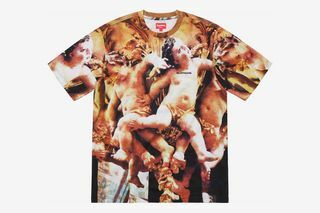 Other standout pieces include the fruit tee (which is rumored to come with scratch ’n sniff box logo stickers), a Leda and the Swan tee, and a number of athletic offerings including an upcoming collaboration with Italian cycling brand Castelli. 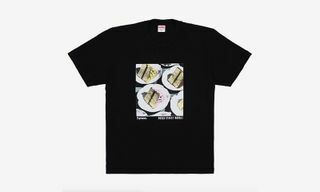 With warmer months ahead of us, peep a selection of the Supreme SS19 tees and tops above and stay tuned for more release information.